Throwback Thursday. Sherry Hope-Kennedy attended designer’s Zang Toi fashion show during New York Fashion Week. His Spring 2019 couture collection was a tribute to Yves Saint Laurent (Toi traveled to the YSL Museum in Marrakech for his inspiration). Vivid colors and clean silhouettes dominated his runway. We spied shades of purple and what looked like Pantone’s Color of the Year for 2018, Ultra Violet. Designers are influenced by all they see around them including fashion. Interior designers draw on the trends and colors as the season changes. Fashion and interiors are always evolving. Zang Toi’s Spring 2019 couture collection. 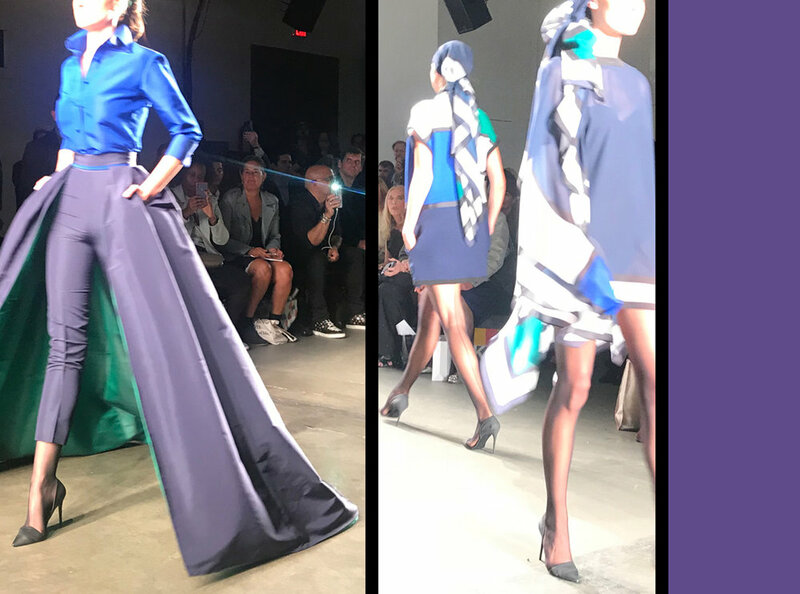 Clockwise: Vivica Fox with Foster from Studio SHK, The Housewives of NYC sitting front row, Sherry Hope-Kennedy wearing Zang Toi, and runway models showing the new Zang Toi collection. Meet the 2019 board members for the American Society of Interior Designers (ASID) California North chapter: Aurora Belarmino, our very own Sherry Hope-Kennedy, Ingrid Beamsley, Ameera Taleb, Kevin Vawter, Sabrina Alfin, Kari Hensel, George Brazil, and Nancee Brown. Dedicated to advancing the interior design profession, throughout the year, this talented group of interior designers and residential remodel experts will be sharing design news and inspiration as well as hosting local events. The team at Studio SHK attended the annual San Francisco Fall Art & Antiques Show Opening Night Preview Gala last week. Definitely one of the best parties in town! The guests were as fashionable as the art. And some of the arts and antiques would fit perfectly into our interior design projects and residential remodels. It’s official! Sherry Hope-Kennedy with Studio SHK is President-Elect of ASID California North. This summer, she traveled to Washington, DC to attend the ASID Leadership Experience in preparation for her new role. The conference was geared towards all levels with the aim of teaching new leadership skills and meeting others in our industry. Take a tour of our latest project. Be inspired! Interior design firm, Studio SHK, was honored at the first annual San Francisco Design Week Awards, hosted by San Francisco Design Week, the premier gathering of the world’s most active design community. Studio SHK received a Residential Interior Design Award, which recognized its “Great Exploration Kids Bedroom” and project team for their ground-breaking design and commitment to thought leadership in meeting the needs of a positive future for society. The competition acknowledged 18 exemplary works from around the globe, celebrating the multiple disciplines of design including: interior, industrial, communication, and user experience design, and architecture. The project team included: interior designer Sherry Hope-Kennedy, Studio SHK; Architect for the termite mound structure, Shaum Mehra of Archive; Jesse Perryman Painters; wallpaper install by Sam Wright, Muralist Cody Blocker, projection technology by Phil Reyner at Lightform and Photographer Amanda Anderson.